Why the Delays? 3 Good Points on Why! I'm sharing a post that a Facebook friend had on her wall (used with permission). As I read this, it resonated deep into my soul. As a prophetic voice I receive a large amount of emails or messages from individuals who do not understand all of the words of hope and yet all of the delays that they personally are experiencing. Of course there is no way to give one answer for all since there are so many variables in different lives. I know that I can speak on behalf of many of those voices and say that we humbly and faithfully wait on the Lord to hear His words, how He desires for them to be released and when to release them. We are always so pleased when we see that other voices are hearing the same And yet why all of the delays? "...dwell in the land and cultivate faithfulness..."
The moment that I heard these words God opened my eyes to see something that gave me understanding about many delays in circumstances. I saw many of God's people "cultivating faithfulness" in the midst of circumstantial delays. They had promises that they were holding on to and yet delays and desperate needs before them. They were not moving from their posture of believing in the faithfulness of God, they were not wavering in trust and they were not allowing circumstances to dictate who their God is. I could hear their voices raised with the words, "You are forever faithful my God!" As I saw this it was like they are reversing something in the land, in the nations and in the spirit realm. Years of disappointments that caused many to abandon their faith had strengthened the case of the Accuser of the Brethren but this season of time has revealed a company of men and women that refuse to deny their faith or who they know their God is. They are His "witnesses of faithfulness" and they are cultivating (feeding upon) His faithfulness even in the midst of very difficult circumstances. This is reversing a curse. It is defeating the accusations and it is healing the land and affecting the spirit realm. 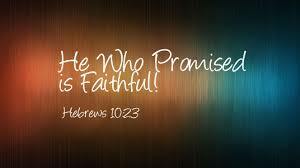 If you are one of these "faithful witnesses" who has been cultivating faithfulness as you dwell in the promise of His faithfulness then know that your faith has not been in vain! 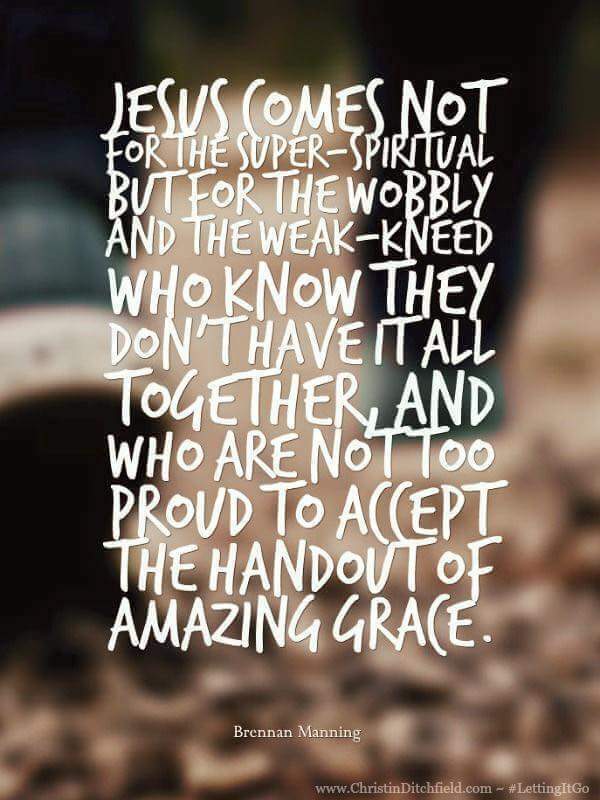 Ephesians 6:12 says that when you've done all that you can do and can do no more then STAND. Stand firm in the faithfulness of God. Stand in His truth and put on the armor of His truth. Dwell in the land and cultivate faithfulness. Though I cannot tell you when your circumstances will change but I can tell you that change is happening. The negative circumstances are actually causing a change to happen in the spirit realm and in the land. Authority is coming back upon God's people as they stand in truth and God's faithfulness. Dwell and do not loose heart! He has not forgotten you or your needs. He is forever faithful! 1. The first thing that spoke to me was "dwell in the land and cultivate faithfulness". One of the first things the Lord asked of us when we moved here to Eldo, was to build relationships. This takes time. It's a daily, proactive, intentional effort on our part. We have been dwelling in our land and cultivating relationships. Folks have even commented on how amazing it is that we know so many people. They see God's hand in it. 2. The next point that spoke to me, is that we have had to learn to stand in faith; when nothing makes sense; when people walk away because they can't understand the call on your life; when the enemy screams you will fail consistently and when your health and finances seem to be impossible to overcome. 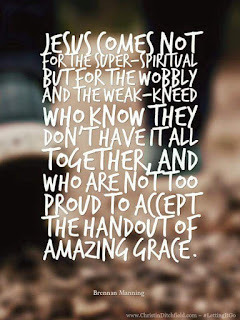 But yet, by His grace, we are still standing (we may wobble a bit). We are believing God for the vision He has given us! 3. The most critical point of her blog above that jumped out was that there is a reversal of the curse in this land. This hit me like a ton of bricks and made perfect sense! We have had to overcome some pretty fierce giants in this new land......and are still battling the demonic strongholds. The good news is that we are seeing much fruit. There has been obvious shifts in the spirit realm as well as in the natural. We are excited to see that God is changing things up here. We are extremely blessed by those that do come alongside us and support us through friendship, financially and through prayer. Ken has been getting almost 40 hours a week for 2 weeks. (He has to work Thanksgiving too). Pray for him, he is pretty exhausted as it's heavy lifting, climbing ladders & reaching. We are still in need of additional income. Trusting God to make a way! Canyon is holding on. He has his days when he doesn't feel much like eating or moving around. But then the next day he bounces around like's he's a puppy. Pray for his back legs to keep muscle mass until it's his time. He is 15+ years old. I am still not sleeping much and pain levels in my low back, right knee & IT band on right leg is high. Without sleep I have little physical or mental energy. I attend 2 women's bible studies, one here in Eldo - that is watching many Robert Morris dvd's. He's an amazing teacher....and the other just started in Nevada, MO that is on the book Lioness Arising. Thankful there are folks here who can pick me up (as ken has our only car). We are still going good in our Thursday Night Group - we are studying and going through a book called Positioned for Miracles. It's a really good foundational book. Pray for the vision to come forth! Just waiting on provision! HAPPY THANKSGIVING FROM OUR HOME TO YOURS!!!! If we can pray for you, please message me. Would love to! The retreat portion of our ministry is to provide a safe place for pastors, lay leaders & other ministry folks to come and be refreshed & encouraged through prophetic ministry (if wanted). We will offer 30-50 private cabins with kitchens & full bathrooms, screened in porches and plenty of places to roam on the property to get quiet with the Lord. We will offer other specialty retreats - marriage, healing, prophetic teaching & activating, health and wellness retreats and more. The Lord has graced us with the desire to come alongside the Church - to bring healing, deliverance & freedom to new/newer believers. We are not wanting to replace their church, but more help them be ready to serve in their church. In our community building - we will have a 24/7 (eventually) prayer room, healing & prophetic rooms and a place for community worship services for those on the property. Our passion is to minister to a lost & hurting world. To equip the saints to do the same and to be a blessing to our community and surrounding areas. Our hopes are that we can pour out God's love in a mighty way to bring more and more into the Kingdom, get them discipled, called into their purpose & destiny and released to do God's business!!!! We also have a passion to give generously to help those in need and to help others launch into their God given destinies. Copyright © 2016, Michele A. Cole All rights reserved. Only with expressed written permission will these posts be allowed to be duplicated, copied or transmitted.